Summer is here!. 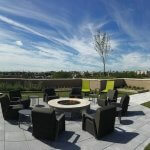 Several of our apartment communities feature rooftop decks to help you get out and enjoy the weather, have a swim, do some yoga, or simply relax by a fire pit. Not only do our 2401 Pennsylvania Avenue and Swift Petworth communities offer gorgeous apartments in NW DC, they’re also perfectly located for spectacular views of the Fourth of July fireworks display on the National Mall. Each year residents and their guests gather to enjoy food, fun, and fireworks all from the convenience of their own apartment building. 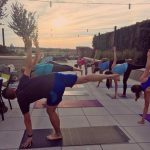 The Swift also features yoga classes every Tuesday mornings and Sunday evenings. There are commercial-grade grills that may be reserved for your entertaining needs and a cozy fire pit to warm up the cooler nights. 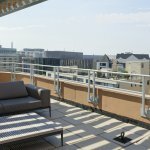 2401 Pennsylvania Ave. treats its residents to some of the best views of Georgetown and Foggy Bottom from its rooftop terrace creating a calming oasis away from the bustling city. Only a few miles outside of DC in downtown Chevy Chase, MD, you’ll find Highland House and Highland House West Apartments. These two sister buildings sit in the well-landscaped neighborhood of Friendship Village and both feature rooftop sundecks with swimming pools. Shaded tables line the sundecks to provide a comfortable outdoors for all visitors. The large swimming pools are appointed with lush greenery and relaxing lawn chairs to provide the ultimate relaxing experience. The beautiful tree-lined views sprinkled with the cityscape provide a unique panoramic view. Both communities treat their residents to a refreshing atmosphere suitable for all ages high above the busy city. It’s great to take advantage of these amenities during the hot summers of Washington, DC and Maryland. A rooftop deck and swimming pool can make a “staycation” feel like a true getaway. For more information on Polinger Company and apartments to rent, visit polingerco.com. Warm weather is here and it’s time to take advantage of the outdoor amenities that our communities have to offer. Memorial Day weekend is the unofficial start to summer, and our pools are ready to open at Country Place in Burtonsville and 4000 Massachusetts Avenue in Cathedral Heights, DC. Both communities offer large swimming pools with relaxing sun decks. If you’re in the mood for swimming with a view then our Highland House and Highland House West Apartments are built for you. Both feature their pools on rooftop decks with expansive views of downtown Chevy Chase. Not into swimming? Our Swift at Petworth community features an inner courtyard as well as a rooftop deck. The deck includes a firepit, pool table, and grills. There are even scheduled yoga classes so you may start your day with the sun. The building at 2401 Pennsylvania Avenue offers unparalleled views of Georgetown and Foggy Bottom, perfect for watching the sunset. The residents of Rollins Park and Congressional Towers enjoy free membership to Rollins Congressional Club just next door. This club offers two pools, sun decks, and a fitness center as well as planned events and classes. 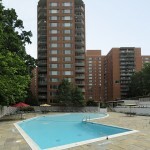 Columbia Plaza in Foggy Bottom and Bethesda Place Apartments in downtown Bethesda offer on-site courtyards perfect for a bite to eat or a place to enjoy the beautiful weather. 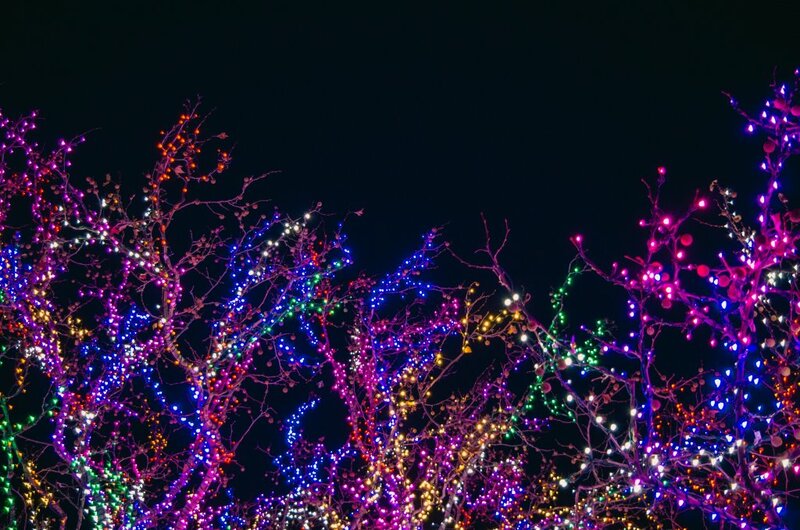 Our communities offer many amenities to enjoy the warmer seasons. For more information visit PolingerCo.com. It’s officially spring in DC when the cherry blossoms bloom creating fun things to do around town. 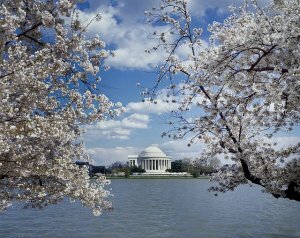 The official Cherry Blossom Festival kicks off Sunday, March 25 with peak bloom expected March 27th – March 31st. 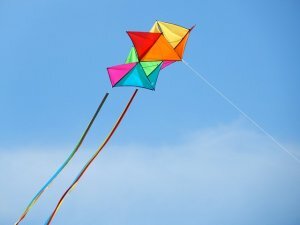 At the grounds of the Washington Monument, the 7th annual Kite Festival takes flight on Saturday, March 31st. This free event starts at 10AM and features kite making competitions, a Rokkaku battle, and other demonstrations. The Festival Parade is scheduled for Saturday, April 14th on Constitution Avenue and 7th Street. The following day, the Anacostia River Festival launches with canoes, a bike parade, and lawn games. This year commemorates the 100th anniversary of the park with special birthday activities. The Cherry Blossom Pop Up Bar offers seasonal cocktails and themed decor until April 29th. The Newseum is hosting a “Nights in Bloom” event on April 13th featuring a menu from Wolfgang Puck. The ticket also includes Japanese traditions such as calligraphy demonstrations, custom haikus, and a performance from the Tamagawa University Taiko Drum and Dance Troupe. Several of our communities are a quick Metro ride to the Tidal Basin for the best views of the blossoms. Columbia Plaza and 2401 Pennsylvania Avenue Apartments are in Foggy Bottom and 4000 Massachusetts Avenue Apartment community is in Cathedral Heights. The Swift at Petworth is under 5 miles away. Living in DC in the spring truly has its beautiful advantages.